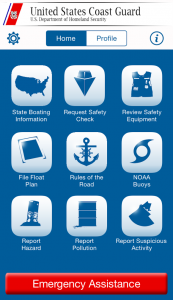 Want to know more about your state's boating laws or how they compare with boating laws in other states? The National Association of State Boating Law Administrators offers this reference guide to promote greater uniformity in state boating laws and to facilitate the enforcement and administration of such laws. The Reference Guide to State Boating Laws answers a number of questions related to recreational boating safety public law. Topics covered include boating education, operator age, water skiing, boat noise, numbering & titling, personal watercraft, boating under the influence, personal flotation devices and more. The data in the guide was supplied by the states and collectively updated during 2007. Data can also be updated by boating law administrators (or designates) for the individual states. The information is subject to change at any time and facts should be verified with the BLAs if there are any questions.